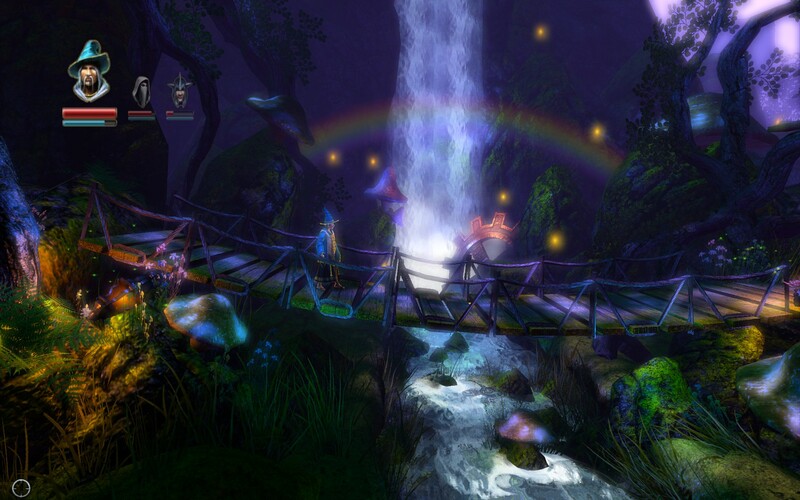 Trine 2: Oooohhhhh The Pretties. I was a real late comer to the Trine party, only getting around to playing it early last year after it had been out for almost 2 years prior. Looking back over the review I wonder how much my opinion of the game would have changed had I played it soon after its release as for its time it would have really been quite a stand out title. In 2011, with the indie revolution in full effect, it’s unique take on the platformer genre was probably lost among other titles like Super Meat Boy. Still the game stuck with me and whilst I might be somewhat late to the party again I decided to venture back into the Trine world yet again. Trine 2 puts you back in familiar territory, starting off with the wizard Amadeus being awoken from his slumber by an unearthly glow coming from his windows. Rushing out to investigate he finds that the glow was coming from the Trine itself, the magical artifact that had bound him in the previous games to Pontius the Knight and Zoya the Thief. 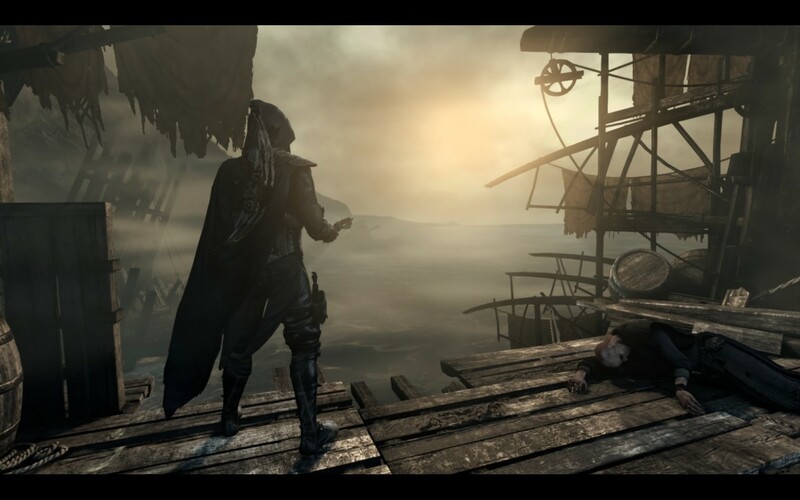 Upon reaching the Trine Pontius appears from within the artifact and informs Amadeus that they have to once again save the kingdom from an as of yet unknown threat. 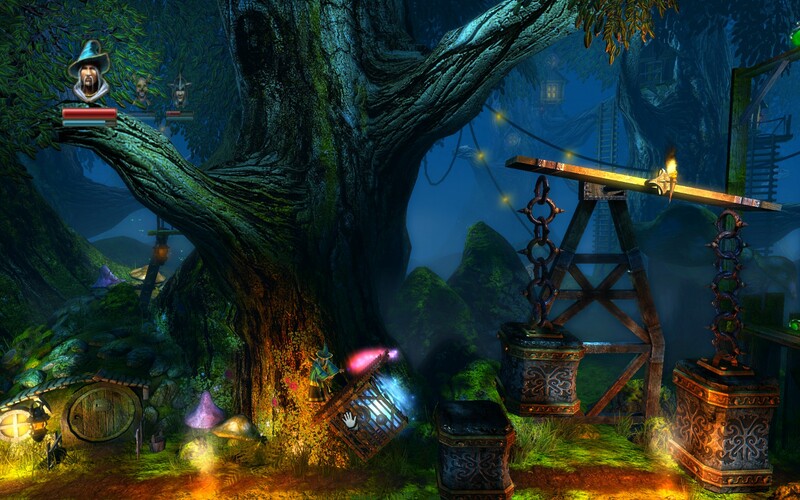 Everything about the look and feel of Trine 2 feels so much more ambitious than its predecessor. Whilst you could chalk much of this up to the 2 and a bit years between releases it still feels like a lot more effort went into the art direction, cinematography and art work. There’s heavy use of advanced lighting effects, depth of field and extensive camera work that I don’t remember being present in the original. 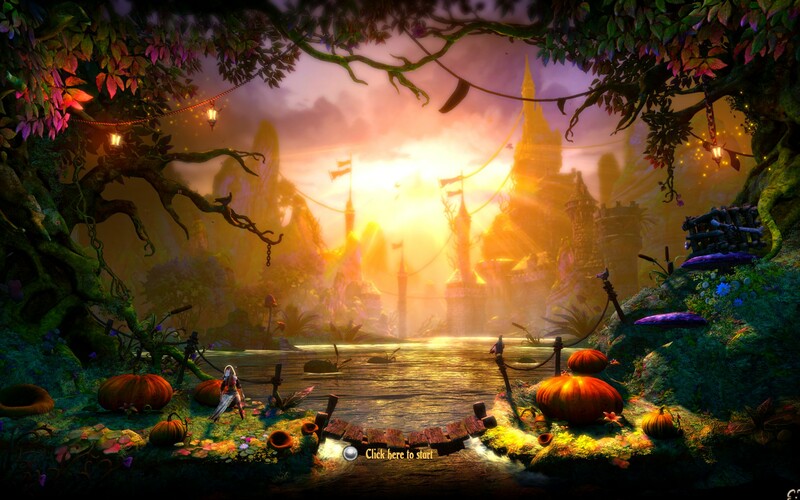 The original Trine was colourful and vibrant and Trine 2 builds on that base to create something that, whilst possibly being a bit too colorful in some points (making it hard to determine what’s what on occasion), is a definite step up. The core physics based platformer/puzzle solving game play remains true to the core of the original Trine whilst streamlining some aspects and adding in new types of puzzles that makes the sequel quite distinct. The wizard still conjures up objects, the thief can still grappling hook onto things and the warrior is still used purely for combat and has little to do with puzzle solving unless it involves smashing through a wall (although even that is made redundant by certain talent choices). The changes are for the most part positive with only a few minor issues that I feel need to be raised. Now I have no idea how the developers intended to have that puzzle solved but I have the feeling it wasn’t supposed to be anything like what you’re seeing above. That’s part of the charm of the physics based game play, letting you create solutions that weren’t exactly intended, but when most of the puzzles were trivialized by a power leveled wizard it made me wonder why there weren’t some limits in order to stop you from doing this. I guess Frozenbyte thought that was part of the fun and I can’t say I disagree with them on this. The combat of Trine 2 is pretty much identical to that of its predecessor; being a fun distraction from the core puzzle based platforming but not a whole lot more than that. For the most part it’s very hack ‘n’ slashy with you being able to spam your way through hordes of enemies even without the aid of additional talent tree upgrades. 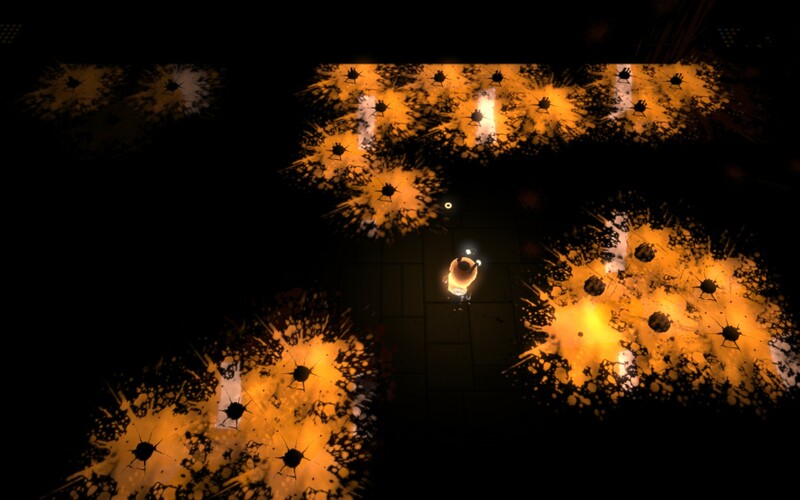 The boss fights start off interesting although they’re also prone to being beatable through mouse and keyboard spam. 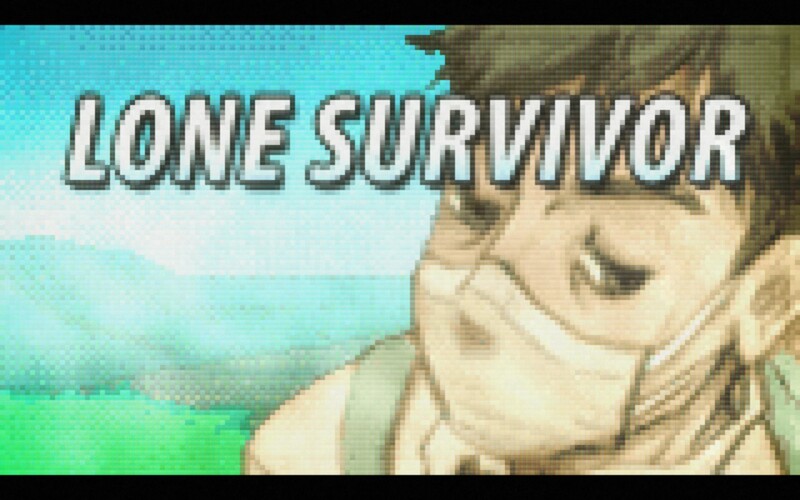 The final boss fight was actually pretty intense even if it felt like it was designed with only one of the 3 characters in mind. Overall I’d rate combat as passable, being more of a distraction than a core piece of the game play. There are some notable bugs with combat however. Some enemies are easily confused by standing near or on top of them and not in an intentional this-is-part-of-the-game way. The type that I most often found this worked with was the dual fire blade wielding goblins who if you got close enough to then jumped behind would think you were still right in front of them. They’d then get stuck in a loop of attacking in that direction, allowing you to wail on them from behind with no consequence. Some of the boss fights bugged out in a similar way to a lesser extent but it was obvious that the enemies were coded with a rather simplistic AI. It’s a relatively small complaint in the grand scheme of things but it was definitely noticeable. As a I alluded to earlier the talent tree has also been greatly simplified allowing you to level each character as you see fit. The choice of power leveling the wizard was a simple one, the more I leveled him earlier the more experience I got access to, leveling the others faster. As you can see from the screen cap above, taken about an hour before the end, I had nearly all the abilities. In the end I think there was only 2 I didn’t manage to get but even that doesn’t really matter considering that there’s a respec button at the bottom, one that can be used as often as you want with no consequences. 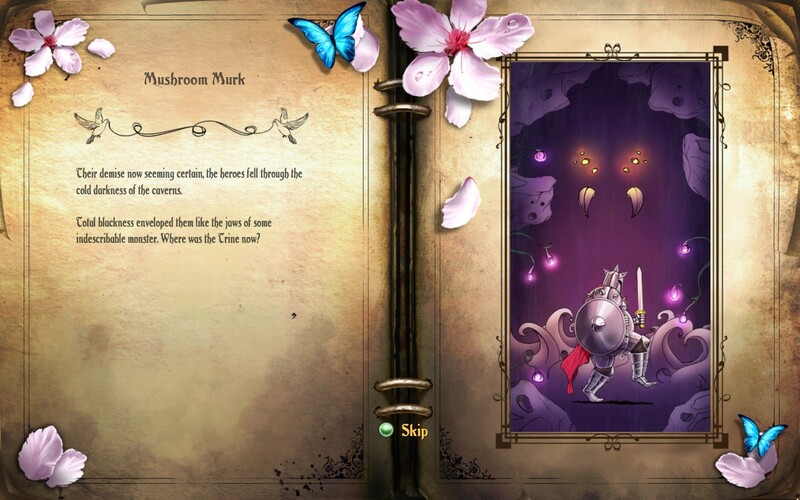 Additionally All the ancillary aspects of Trine 2 have been stream lined from the original. The mana bars for every character are gone completely which I thought was weird to begin with but after playing through the entire game without it I’m glad they took it out. All the mana bar did was add tedium to the game, forcing you to go back to check points in order to restock if you accidentally created the wrong object (which was far too easy in the original) or lost it all from spamming flame arrows. The story of Trine 2 is somewhat thin on the ground, at least in comparison to recent releases, but it is serviceable enough to keep the game driving forward. Although there’s not a whole lot of dialog in the game the voice acting is above the level of what I’ve come to expect from games like these, with each of the character’s voices fitting well with their perceived personas. Just like the original Trine I’ll have to commend Frozenbyte for not taking the cheap option and leaving the ending open for yet another sequel, something that never fails to annoy me. Trine 2 is a definite improvement over its predecessor in almost all respects. The visuals and art direction are a lot better, a definite sign that Frozenbyte has confidence in the IP and is willing to invest more heavily in it. 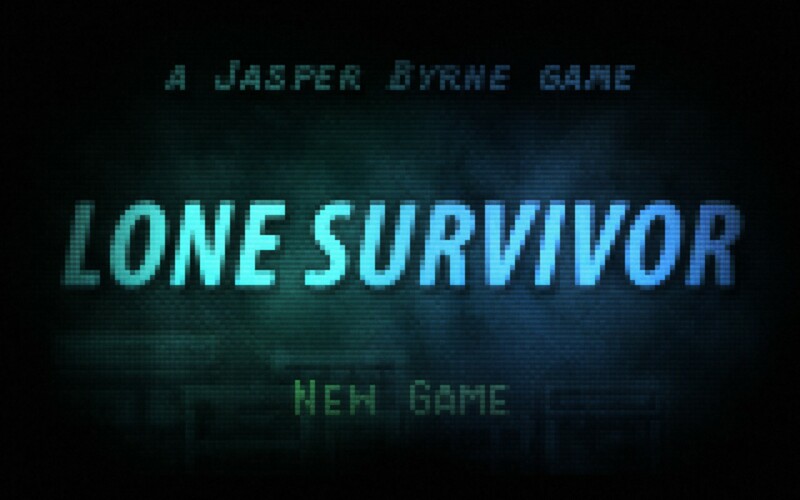 The streamlined game play takes away the tedium making the game much more enjoyable overall. Overall I was quite impressed with Trine 2 not feeling the compulsion to play through to the end just for the review like I did with the previous one. Even if you haven’t played the original I would still recommend Trine 2 as it stands alone well, especially if you’re a fan of platformers or puzzle games. Trine 2 is available on PC, PlayStation 3 and Xbox360 right now for $14.99, $14.99, and 1200 Microsoft Points. 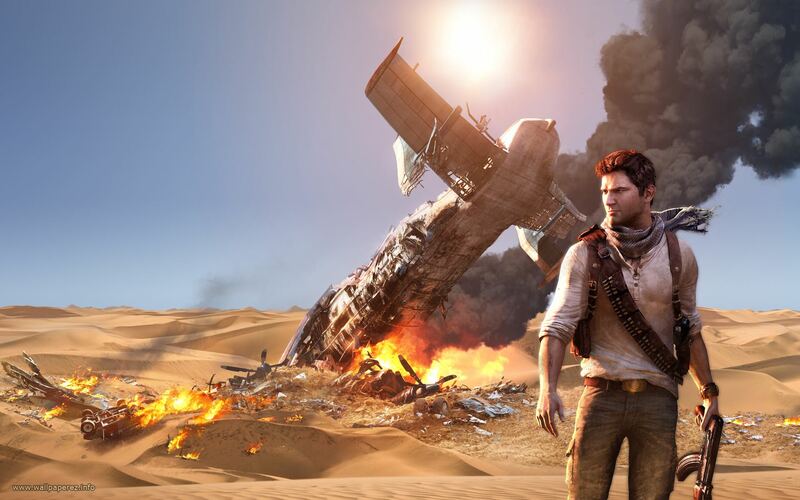 Gane was played on the hard difficulty with around 7 hours of total play time with 23% of the achievements unlocked. Trine: A Refreshing Take on the Traditional Platformer. It seems like the classic genres of games are undergoing something of a renaissance thanks to the now extremely viable independent game developer market. 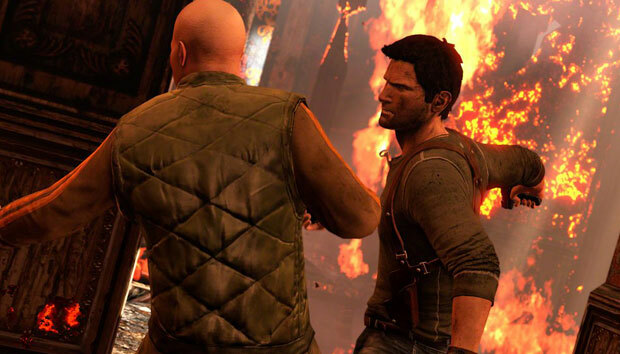 Whilst a lot of gamers will still go for the current staples (FPS, RTS, RPG) many independent developers are making a good living out of things like top-down shooters, adventure games and the good old fashioned platformer. 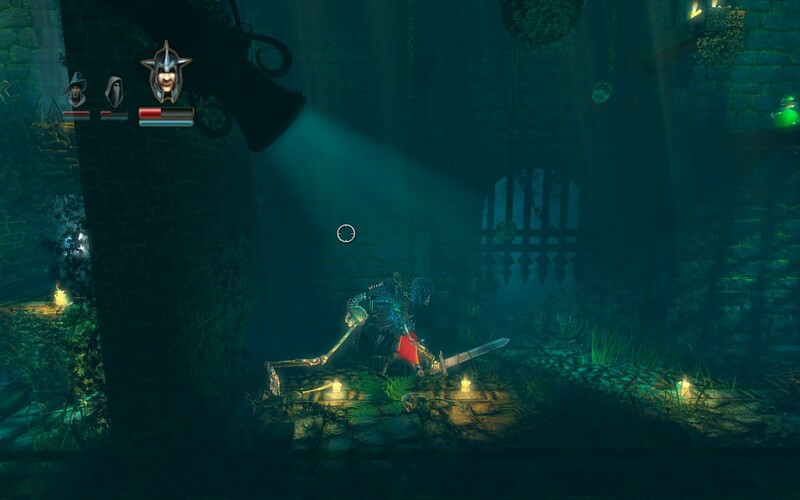 What’s really surprising though is what sets them apart from their classic brethren and one such example of this is Trine which takes the idea of a platformer and turns it on its head by adding in all sorts of curious game mechanics. You start off the game by being introduced to the 3 characters you’ll be playing throughout the game. 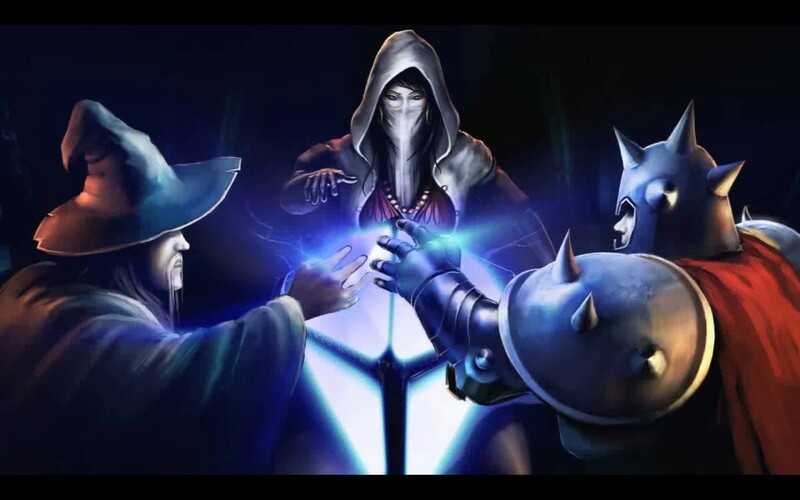 They are (from left to right in the picture above) simply named as The Wizard, The Thief and The Warrior. The thief, in attempting to steal treasure from the Astral Academy, stumbles across a mysterious artifact that when touched bound her to it. Hearing the noise the warrior runs down to protect it, only to himself be bound to the object. The wizard, who has remained in the academy to study the skies, also came down to see what was going on and upon touching the object all of them vanished. 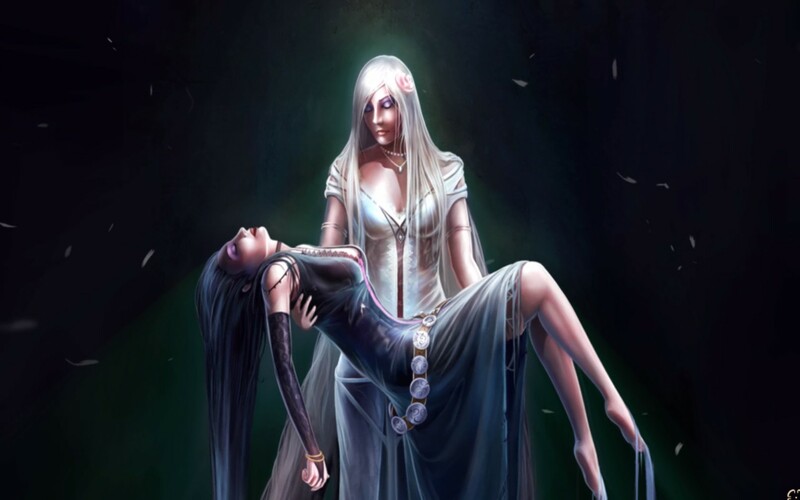 From then on only one of them could exist physically while the rest would have to reside in the artifact, which the Wizard recalls being named The Trine. It’s an interesting set up for the core mechanics of the game which are heavily physics based. 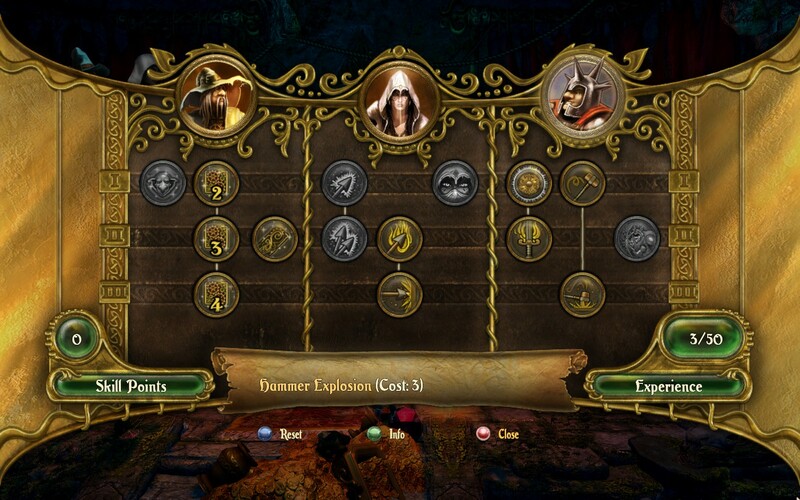 You can only control one of each of the three characters at any one time and each of them has their own set of unique abilities. The wizard has the ability to conjure objects (platforms and planks) and control them via levitation. This also extends to a good number of environmental objects throughout Trine which will need to be used in order solve certain puzzles. He also lacks any form of direct combat ability being only able to thwart enemies by dropping things on them or conjuring objects that fall on them. 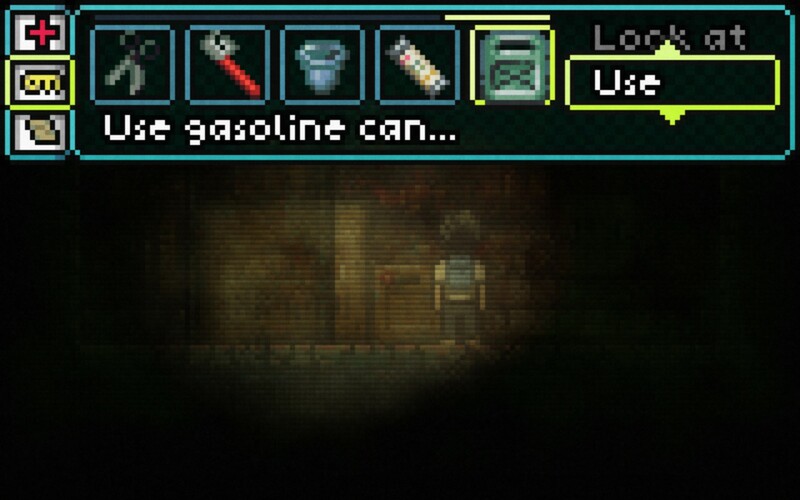 The Wizard then is almost wholly dedicated to solving puzzles. The warrior is at the complete opposite of the spectrum, being almost entirely used for combat. His initial abilities are quite simple, he has a sword which he uses to kill things and a shield that he can use to deflect things trying to kill him. As you progress he gets the ability to charge at enemies, useful for when they get a bit tougher and have shields of their own, as well as a two handed hammer that does more damage and can be charged up to shake the ground when released. Considering there are times when you’re swamped with enemies the Warrior is far from useless in this predominantly puzzled based platformer. 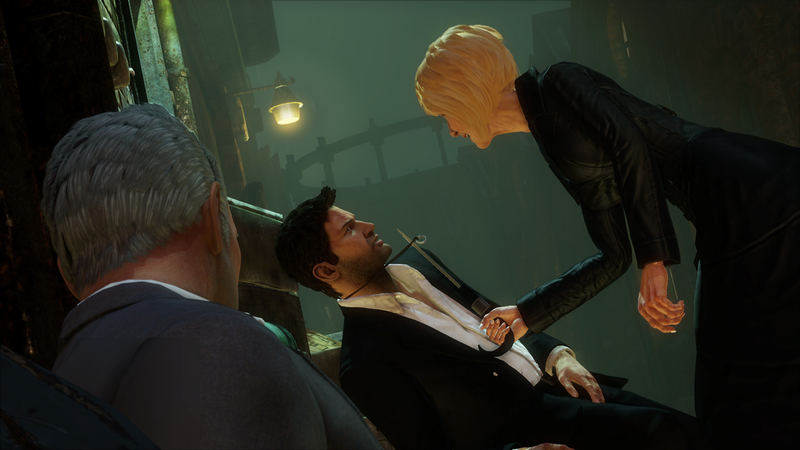 In the middle of these two extremes is the Thief being both a capable fighter as well as an essential part of the solution to some of the puzzles. Her main weapon is the bow which can be upgraded to fire up to 4 arrows in one shot. She also has a grappling hook which can latch onto any wooden or other appropriate surface which she can then use to swing around from. Her bow can also be upgraded to fire arrows for those few levels where there’s little ambient light but torches sprinkled around for convenience. Out of all the heroes I found myself using her the most since she was so versatile, even if I don’t have a single screenshot of her here (thanks to her being a bit tricky to use whilst also mashing the screenshot key). 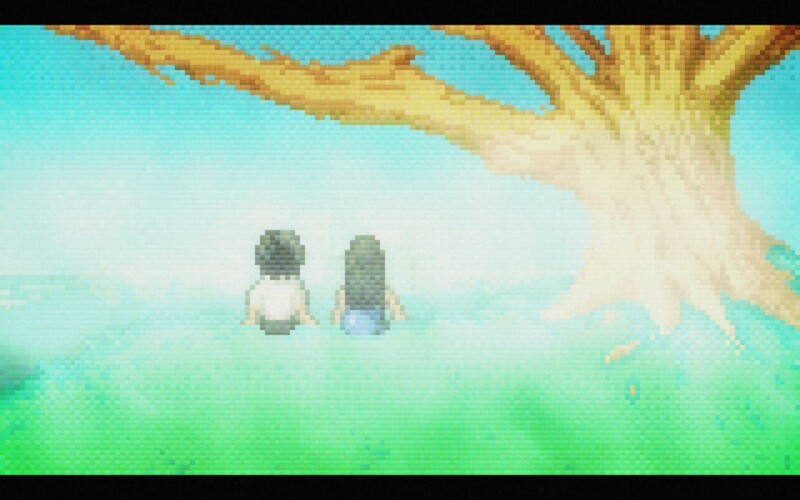 The game itself is quite pretty especially when you consider that it was released back in late 2009. All of the environments are lush and rich with little bits of detail from the forests with plant life littering every corner to the dank dungeons with bones and all sorts of nasty things strewn everywhere. 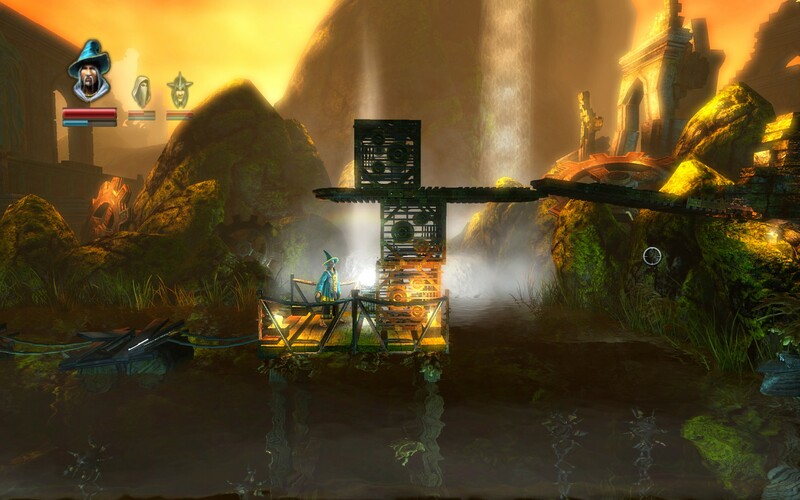 Trine also has an extremely vibrant colour palette which is amplified by the extensive use of bloom throughout the game. Whilst this might be seen as gaudy by some Blizzard has shown that a lively colour palette keeps people interested whilst also making it a lot easier to distinguish enemies from a bland background. Personally I quite enjoyed it, even if it seemed a little too outlandish at some points. 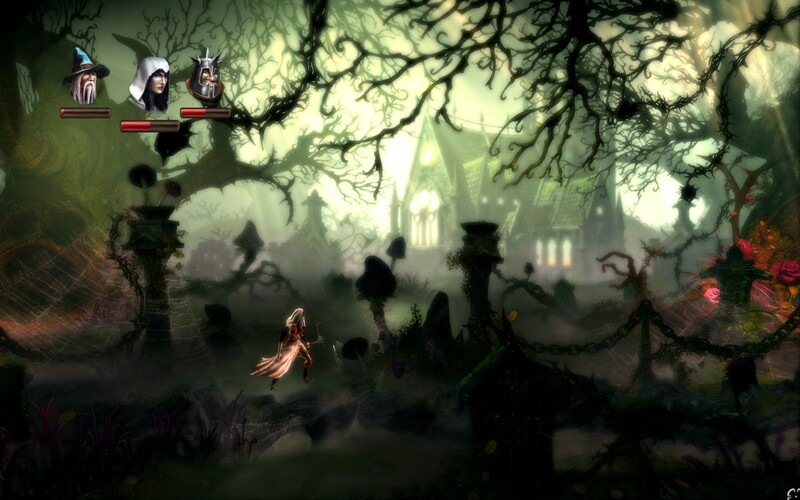 Trine also combines a few RPG elements so that they can throw ever increasingly harder puzzles at you as the game progresses. Littered through each level are green experience jars that you have to pick up with some of them dropping directly from enemies. Every 50 of these will grant you a level and a point to spend in upgrading your characters skills. These allow you to do things like conjure more boxes as the wizard, shoot more arrows as the thief and be more effective in combat as the warrior. 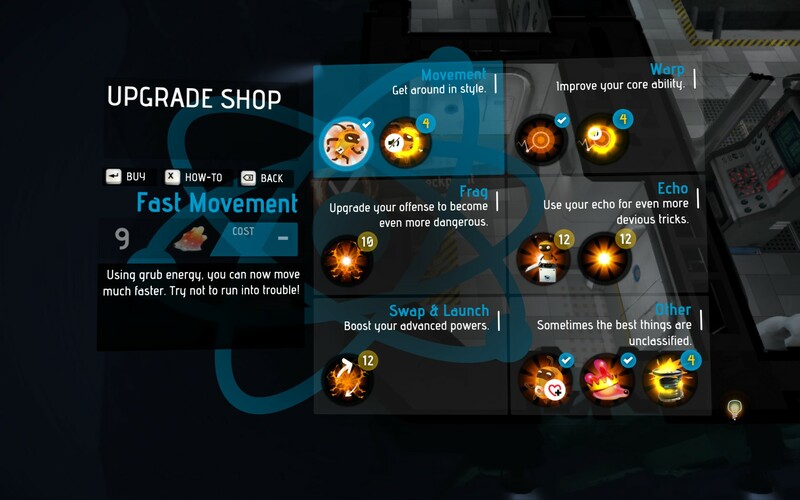 There are also various chests hidden around each level that contain special items that can augment your abilities, grant special powers like resurrection or reduce downtime like restoring health if it drops below a certain level. 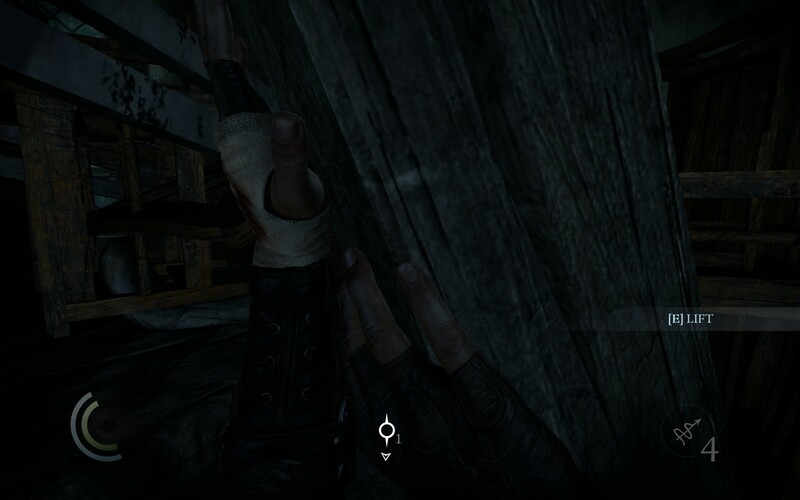 Whilst you can complete the game without hunting all of these down they do make the game quite a lot easier if you do, as you can see below. 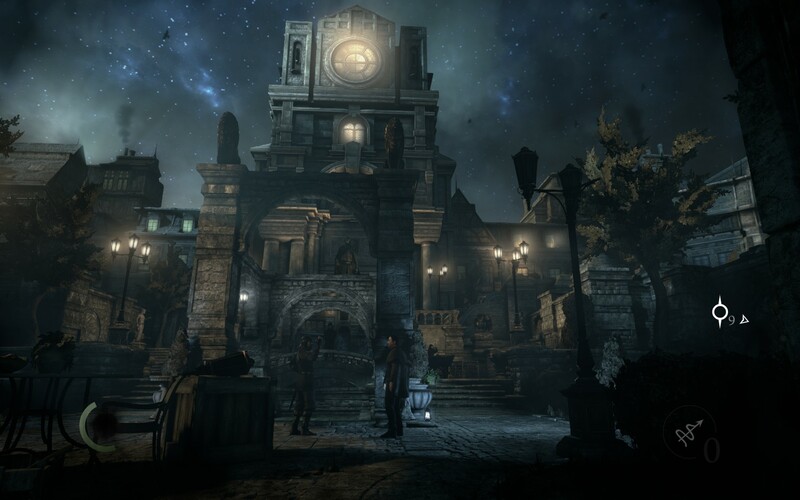 Thanks to its heavy reliance on physics for the basis of nearly all its puzzles Trine is also subject to the same emergent game play phenomena that all its predecessors were prey to. Whilst it’s obvious that the level designers had a certain solution in mind it’s obvious that there are easier ways of doing them if you mix certain abilities in an unusual way. The screenshot above showcases one such idea where I built a bridge using 5 of the wizards objects which I carefully counter balanced so it wouldn’t fall to pieces when I ran over it. This starts to take on a whole new level when you get the conjure floating platform ability as the wizard, especially when upgraded so the thief can hook onto it. Whilst this game play idea does make the game infinitely intriguing at points it is also its ultimate down fall. The heavy reliance on the physics engine means there’s always quirks in the way it functions such as when you hit a ledge there’s a moment when your character is considered “standing” for a brief moment allowing you to jump again. 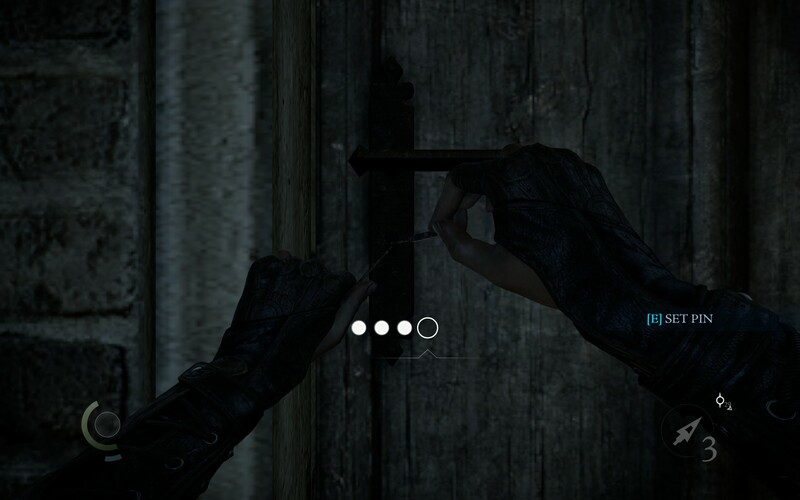 This trivializes many of the puzzles and whilst you can avoid doing it the tendency to spam the space bar is not unique to me, so I’m sure many people have found it before. Additionally whilst the game designers coded a fail safe to stop you levitating objects you’re standing directly on you can put a single platform on top of anything and the levitate to your hearts content, wizard surfing your way past almost anything. 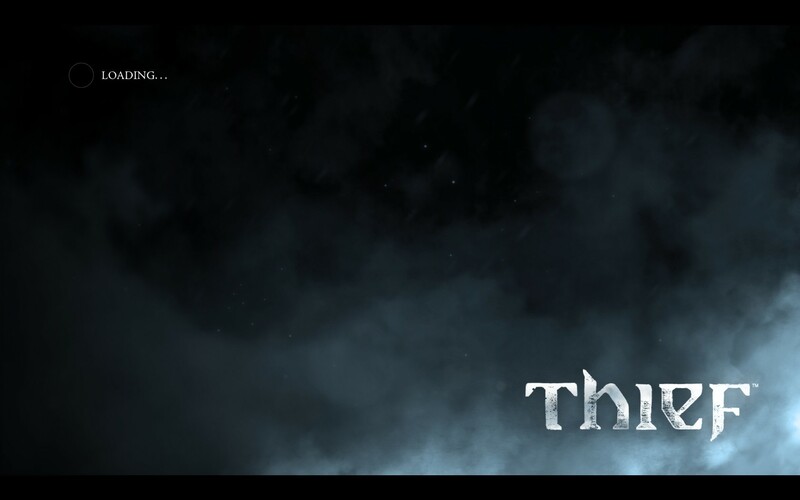 Combat, whilst well done for the most part, also let’s Trine down in some parts. 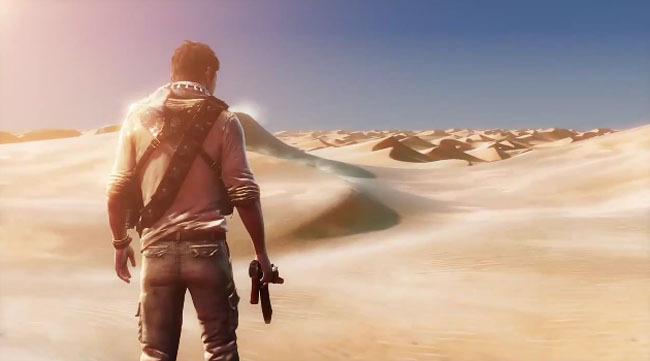 Initially it feels like any other part of the game but towards the end there are points where enemies will continue to spawn endlessly until you get far enough away from that point. That’s all well and good but when you’re right at the end of a puzzle and the next check point in sight it’s a damned shame to have to cut through 50 skeletons just to get there, especially if you’ve killed 45 of them not 5 minutes ago. It’s the same complaint that many had with Dragon Age 2 spawning multiple waves of guys, ruining the idea of planning a strategy out before engaging. Despite these complaints however I still enjoyed Trine throughout the 7 hours I spent with it. The wonderfully lush environments and emergent game play made me feel like I was figuring out solutions that had never been thought of before. Whilst there would be some frustrating times where I’d die over and over again I still kept coming back, trying every avenue I had available to me. The story, whilst simple in its ideas and execution, was enough to carry Trine through to the end and wrap it up succinctly, a rarity in today’s market. 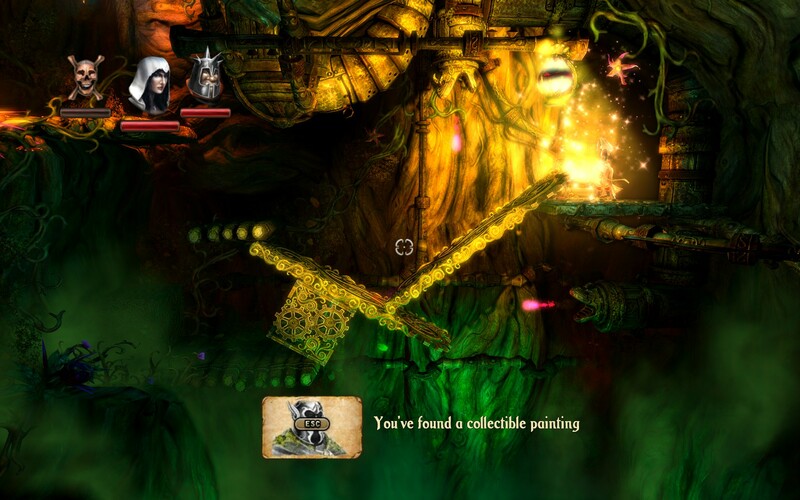 Overall Trine is an enjoyable experience for both the things it gets right and the flaws you can so lovingly exploit. Trine is available on PC right now for $19.99. Game was played on the Hard difficulty with about 7 hours of total play time. I’d guess I got about 80% of the total experience and secretes available in the game.